Featuring a garden, Little Knott is a holiday home situated in Lowick Green. The property is 16 km from Windermere and boasts views of the garden. Th..
High Mere is a holiday home set in Windermere in the Cumbria Region and is 31 km from Keswick. It provides free private parking. There is a dining ar..
Garthmere is a holiday home set in Bowness-on-Windermere, 1.2 km from World of Beatrix Potter. 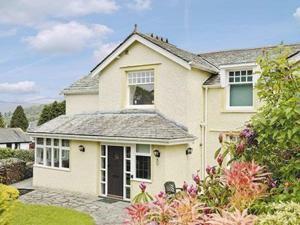 The property is 2.4 km from Lake Windermere and free pr..
Low Beck offers pet-friendly accommodation in Windermere. The property is 31 km from Keswick and free private parking is provided. There is a dining .. Helm View is a holiday home is set in Windermere and is 31 km from Keswick. The property boasts views of the garden and is 8 km from Ambleside. The k..
Set in Kentmere, this holiday home is 7 km from Windermere. The property is 28 km from Keswick and free private parking is provided. 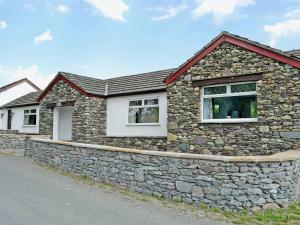 There is a dinin..
Fell View is a holiday home situated in Kentmere, 7 km from Windermere. The unit is 28 km from Keswick. The kitchen is equipped with an oven and a to..
Around 8 miles from Carlisle, Fiddleback Farm offers attractive en suite accommodation within 25 minutes of the Lake District, Solway Coast and the Sc..
Wilfin Beck Cottage offers accommodation in Far Sawrey, 6 km from Windermere. The unit is 33 km from Keswick. An oven, a toaster and a refrigerator c..
Barker Knott Farm Cottage is located in Windermere. 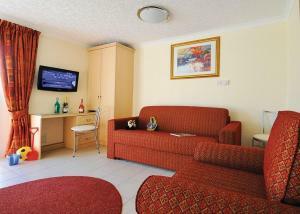 The accommodation will provide you with a TV. There is a full kitchen with oven and a refrigerato.. The Mains is a cottage located in Penrith, 9 km from Whinfell Forest. It provides free private parking. The kitchen has an oven and a toaster. 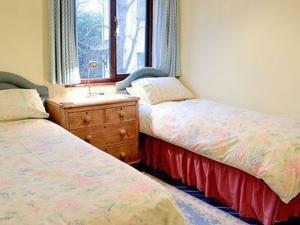 Towels..
Bellman Cottage is a holiday home located in Far Sawrey in the Cumbria Region and is 5 km from Windermere. The property is 33 km from Keswick and free..